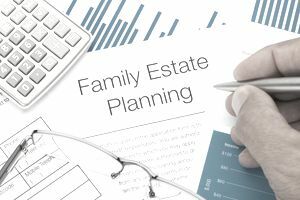 If you hold significant assets in one or more individual retirement accounts, you might want to consider setting up a special type of revocable living trust that's specifically designed to act as the beneficiary of your IRAs after you die. This type of trust is referred to by a few different names, including an IRA Trust, an IRA Living Trust, an IRA Inheritor's Trust, an IRA Stretch Trust, an IRA Inheritance Trust, or a Standalone Retirement Trust. How Does an IRA Trust Work? An IRA Trust is a special type of revocable living trust designed for the sole purpose of holding your IRA accounts for the benefit of your loved ones after your death. You can establish different subtrusts within the IRA trust agreement for the benefit of your beneficiaries, including your spouse if you're married. You can design each subtrust to fit the unique needs of each beneficiary. For example, you might decide to have the required minimum distributions held inside the IRA trust, which means the funds can only be used for the benefit of the beneficiary as determined at the discretion of the trustee. This is often called an accumulation trust. Or you can have the required minimum distributions paid out to the beneficiary at the time the trust receives each distribution. This type of arrangement is referred to as a conduit trust. If you want to create a lasting legacy for your family, the subtrusts established within the IRA trust agreement can be set up as lifetime dynasty trusts so they will continue for many years into the future. Finally, since the IRA trust is a revocable trust, you can change the terms of any or all of the subtrusts at any time prior to your death. You cannot simply name the "John Doe IRA Trust" as the beneficiary of your IRAs. This won't allow your IRA trust to work as planned because your trust is not actually the beneficiary. Your loved ones are the beneficiaries. The trust simply collects and, in some cases, holds the accounts for them after your death. Instead, the different subtrusts established within your IRA trust agreement should each be specifically named on each separate beneficiary designation form as to the primary beneficiary, the secondary beneficiary, or both. This will ensure that the assets held in your IRAs will be distributed to your beneficiaries under the terms of the separate subtrusts that you've created for their benefit.